Click "Add to Home Screen"
You will now see an icon on your home screen that will take you directly to the mobile website. Clearing all of the data from your iPhone is simple. Make sure you have it plugged in, as the process will take quite a long time, "about an hour" according to the warning. But, believe me, it is time well spent! Once the process is complete, you'll be left with a "factory fresh" installation of the iPhone OS with no trace of you or your data. 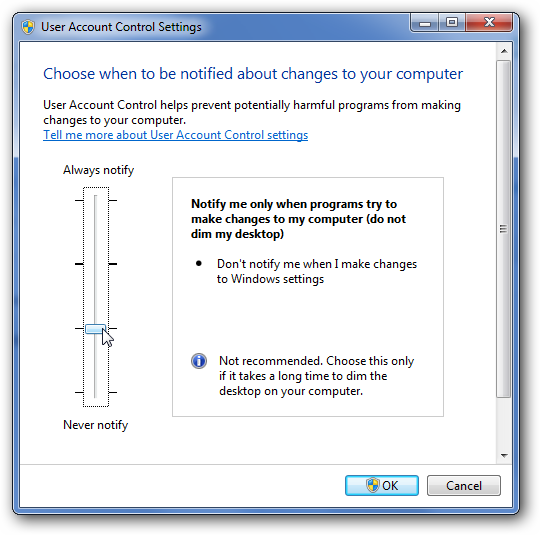 This is an easy method that you can use to disable the annoying User Account Control (UAC) from the control panel GUI interface in either Windows 7 or Vista. See enable or disable UAC from the command line to do it from the trusty command line. 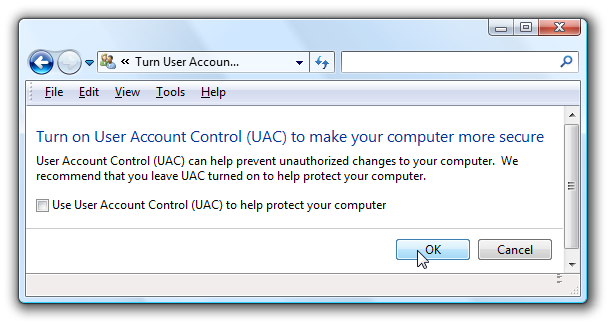 On the next screen you should uncheck the box for “Use User Account Control (UAC)”, and then click on the OK button. Unfortunately you will have to reboot your computer before the changes take effect, but you will be all done with annoying prompts. Windows 7 makes it much easier to deal with UAC settings, and in fact you don’t have to completely disable UAC if you don’t want to. Just type UAC into Start/Run, Start/Search or Control Panel search boxes. You can simply drag the slider up or down, depending on how often you want to be alerted. If you drag it all the way down to the bottom, you’ll have disabled it entirely. It would be nice to send the users a warning message before logging them out. 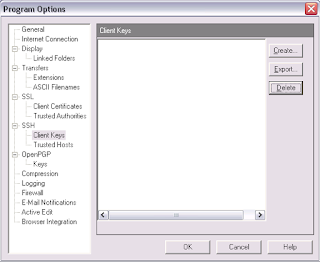 rdesktop client can be used to connect to Windows Terminal Services for Remote Desktop Protocol (RDP) from Linux machines. The rdesktop client supports all version of Microsoft Windows including the latest, Windows Server 2008 and Windows 7 Operating Systems, and it runs on most unix based platforms as well as other ports. Visit http://sourceforge.net/projects/rdesktop/ for more information or to download rdesktop. Visit: http://sourceforge.net/projects/tsclient for more information and to download tsclient. Microsoft introduced User Account Control (UAC) in Windows Vista. UAC enables users to perform common tasks as non-administrators, called standard users in Windows (Vista and Windows 7), and as administrators without having to switch users, log off, or use Run As. 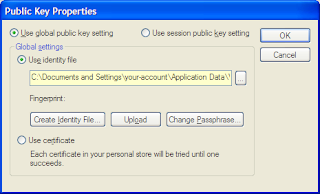 A standard user account is synonymous with a user account in Windows XP. User accounts that are members of the local Administrators group will run most applications as a standard user. By separating user and administrator functions while enabling productivity, UAC is an important enhancement for Windows. Must be run with administrative rights. You could right-click on Command Prompt shortcut and select Run as Administrator. You may have to reboot for changes to take affect. You can also enable or disable UAC from the Control Panel. With these simple commands you can remotely restart, shutdown, log off or even abort a system shutdown on Local or remote windows machines using Remote Shutdown Tool (shutdown.exe). 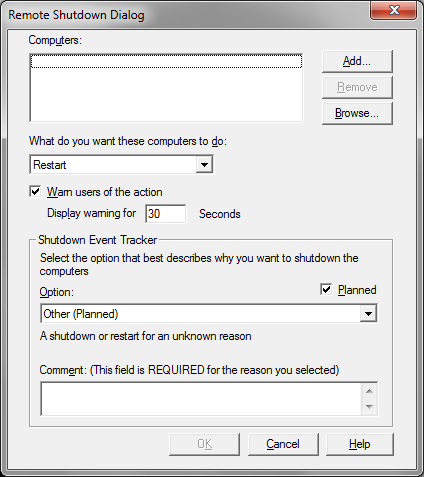 The Remote Shutdown Tool can be accessed via a GUI or from the command prompt. Note: By default the time-out period in previous examples is set to 30 seconds. Restart a network machine and force any running applications to close giving a reason and set the time-out period to 1 minute (120 sec). Note: this will run on all versions of Windows (2000, 2003, 2008, XP, Vista, Windows 7). In Internet Information Services 7 Microsoft changed the default log files location. By default Windows 7 does not display quick launch on the taskbar like Windows XP and Vista. From Toolbars Menu select New Toolbar. Under Folder add: %appdata%\Microsoft\Internet Explorer\Quick Launch then press Select Folder. Unlock the taskbar by right-clicking on taskbar and select unlock the taskbar. To lock, do the same but select lock the taskbar. In Windows 7 quick launch you can choose whether to display the title and to show text or not. To change these settings unlock the taskbar, right-click in the quick launch area of the taskbar and toggle Show Text and Show Title as desired. Since BackTrack 4 Pre-Release does not contain an installer you can follow these steps to install BT4 quickly and easily. The assumption is that you are installing BT4 on an empty disk (/dev/sda in this tutorial). Boot to BT4 DVD (download BackTrack 4 ISO - make sure to get the BT 4 Beta and not the BT4 Pre Release). Enter commands in bold. 1. Start by creating 3 partitions on the disk, one each for boot, swap and root. Note, since your disk size is probably different than mine the number of cylinders will likely be different. 2. Format the file systems, mount them and copy over the directory structure. Chroot into new environment. 3. Configure /etc/lilo.conf to reflect your setup. 5. Execute lilo and reboot! This is an easy to follow tutorial on how to crack a WPA encrypted password. This information should only be used for education purposes. This is a tutorial on how to crack a wep encrypted password. This information should only be used for education purposes. 1. Internet Information Services 7.0 installed. 2. Windows Server 2008 or Vista. Before installing FTP Publishing Service 7.5 over IIS 7.0 be sure that you uninstall any previous versions of FTP Publishing Service. When the installation program of Microsoft FTP Service for IIS 7.0 begins, click Next. Accept the End-User License Agreement and click Next. Select the features you want to be installed and click Next. At the end click Finish. After the installation finishes we open Internet Information Services 7.0 Manager and we select Server Certificates to create a self-signed SSL certificate. Another option is to create a certificate request to process with a 3rd party SSL provider which is recommended for production systems as they are from a trusted root. On the Add FTP Site wizard add the FTP site name and select the path we created in the prerequisites and click Next. On the next page of the wizard we click the Require SSL option and we choose our SSL Certificate then we click Next. On the next page of the wizard we select Basic for Authentication and on Allow access to we select specified users and we define our backup ftp account with read and write permissions then we click on Finish. In case we want to allow anonymous ftp connections select Anonymous authentication and on Permissions we select the Read. If we are behind a firewall we should configure the FTP Firewall Support under Internet Information Services Manager and configure our firewall ports to accept passive connections on the ports we specify. In case we want to use dynamic port range under Data Channel Port Range we enter port range “0-0?. Configure FTP Client to connect to our FTP Site using FTP over explicit TLS/SSL. In case you get “534 Local policy on server does not allow TLS secure connections.” error this is because we need to select an SSL certificate at the Server Level. Get notified when a user logs in with root privileges. TrueCrypt provides a solution for encrypting sensitive data - everything from portable, mountable volumes to entire hard disks. Encrypting your data renders that access useless, even if your computer or your thumbdrive falls into the wrong hands. And TrueCrypt makes it not only easy, but nearly un-crackable. TrueCrypt is both open source and FREE. Whole Drive Encryption - you can use TrueCrypt to encrypt your entire hard disk, including your boot partition. In order to boot the machine, you must first supply your pass phrase to enable decryption. Once booted, data is automatically and transparently encrypted and decrypted as it travels to and from the disk. Once your machine is turned off, the data is unrecoverable without knowing the pass phrase. Container Encryption - with this approach you create a single file on your computer's hard drive that is encrypted. You then "mount" that file using TrueCrypt, supplying the correct pass phrase to decrypt it after which the contents of that file appear as another drive on your system. Reading from and writing to that "drive" automatically and transparently decrypts and encrypts the data. Once the drive is unmounted, the data is once again unrecoverable without knowing the pass phrase. TrueCrypt is both simple and elegant. Most users prefer container based encryption for its portability, and for the fact that you need only mount the encrypted drive when you need access. You could keep personal information in a TrueCrypt container that could be regularly copied between machines, onto a thumbdrive, and even backed up to the Internet. When you need to access the encrypted data, simply mount it, specify your pass phrase to unlock it, and use the files that are stored within it. TrueCrypt is not tied to any one platform, your user account or anything else; just the pass phrase. In fact, you can copy your encrypted file to another machine entirely and mount it with TrueCrypt. Even using other operating systems such as Mac or Linux. Encryption does not make a bad pass phrase any more secure. If you choose an obvious pass phrase, an attack can certainly be mounted that could unlock your encrypted volume. This is why we talk about pass phrase instead of password. Use a multi-word phrase that you can remember to be the key to your encrypted data, and it'll be much, much more difficult to break. An encrypted volume does you no good if the files you care about are also elsewhere on your machine. Make sure you have secure backups, updated regularly. Preferably keep them UNencrypted, but secure in some other way, in case you lose your encrypted volume or forget your pass phrase. If you've chosen a good passphrase, without it the data is not recoverable. Data encryption is an important part of an overall security strategy. TrueCrypt can be a key part of that strategy. SSH and SFTP Public Key Authentication requires that you create a public/private key pair. In this howto we will look at how to create then use those keys. SSH (Secure Shell) and SFTP (Secure FTP) support a very strong security model that can be used instead of the normal username and password authentication scheme. It uses public key cryptography to create a different, and more secure approach to authenticating your identity and rights to access a server or resource. Essentially you will generate a public and private key pair. The public key will be placed on the server by your system administrator, giving you access. You will keep the file containing the private key in a safe place. You'll login by simply by providing that private key file to your SSH or SFTP supporting client. The private key is just that - private. You may put a password on it, but you don't have to. Without a password, all you need is the file in order to login. Or, to put it more clearly, all anyone needs is that file to login as you. Obviously if you password protect the file, then you'll need both the file, and the password to unlock it. In that case, logging in is very similar to what you do today: specify a user name, and a password to unlock your key file. Other tools may also work. The key terminology to look for is "SSH" or "SFTP" and "Public Key Authentication". In general it's best to create your own key. That way you control what happens to your private key. 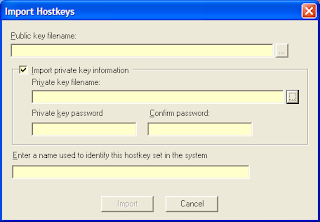 PuTTY is a free SSH client that includes a tool for generating keys, called PuTTYgen. PuTTY is my preferred SSH client. 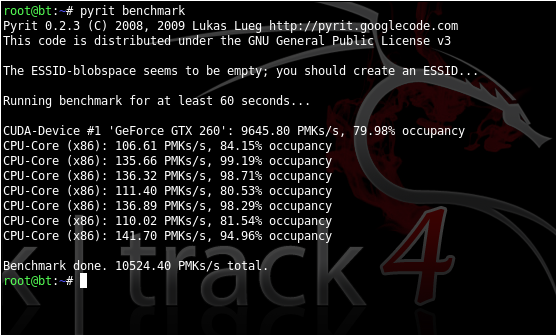 Run PuTTYgen and click the "Generate" button. Specify a passphrase. Technically this is optional, but if you omit the passphrase, then anyone who happens to get ahold of your private key file can login as you. You may have enough security in place where this is not an issue. If you do specify a passphrase, you'll need to enter it when you login, pretty much as a normal login. Press the Save Public Key button to save the public key. I recommend saving as your name ".pub". For example I would save "powercram.pub". Press the Save Private Key button to save your private key. This saves the private key in PuTTY's own format, a ".ppk" file. So, "name.ppk" might be appropriate. I also recommend hitting the Conversions menu, and then Export Openssh key, and saving that to "name.key". This format will allow you to use your private key with other applications besides PuTTY. SecureCRT is a stand-alone SSH client. 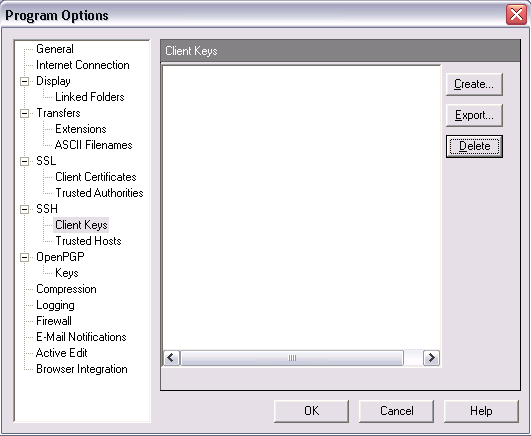 To create a public key with SecureCRT, click the Tools menu, Create Public Key... option to begin the wizard. Select RSA as the key type. Enter (or not) an appropriate passphrase to protect your private key. A default key length of 1024 is sufficient. Allow SecureCRT to save the key, noting the location. It may ask if you want to use this as your global Public Key, and you can safely say "yes". Press Create, and step through the wizard. The key type should be RSA, and the default size of 1024 is sufficient. Once the key has been created and shows up in the list, click on it, and then click on Export, to export your public key. Once your keys are generated, and the public key installed on the server, you'll need to specify the private key to your SSH client in order to log in. That, as a desktop shortcut, or item on a Windows menu, connects to the named server using the specified account name "admin", and uses the private key found in "c:\admin\powercram.ppk" to authenticate. Make sure that protocol is set to SSH2, and enter your host and username. In Authentication, UNcheck everything except PublicKey. Then click on that, and click Properties. Typically you don't need to do anything, but this dialog specifies the location of your identity file (aka Private Key). Assuming that your public key has been placed on the server for your account, you should now be able to connect. Secure FTP, or FTP, is really just using SSH technology to provide FTP-like functionality. Since it's using SSH, the keys you've generated and are using for your SSH authentication work with many SFTP applications as well. Specify the ".pub" key for the public key you generated earlier. 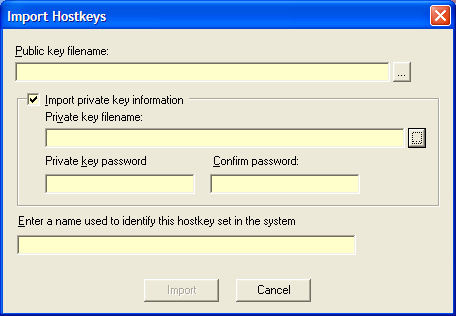 The private key should also be specified, and would be the ".key" file. If you passphrase protected your key file, you can specify that here as well. Give it a recognizable name. The second step, then, takes us back to the Webdrive main window. Here you'll find a dropdown list of the keys you imported above, and a place to enter the password, if any, to access that key. Once completed, Webdrive should now be able to connect to your public key authenticated site. Having created a key pair already in WS_FTP, using it is simply a matter of defining your connection to use it. When you create a site, specify its connection type as SFTP/SSH. Specify a user name, but leave your password blank. At the end of the wizard, click on the Advanced button, this will allow you to edit the connection, and is the equivalent to editing an existing connection. Click on the SSH item on the left, and the dropdown list that results should allow you to select the key pair that you created earlier. Assuming that the public key you exported and sent to your system administrator has been installed on the server, you should now be able to connect. -l username specifies your username on the remote host; -2 indicates that PSFTP should use SSH protocol version 2; -i keys.ppk specifies the location of your private key as created with PuTTYgen; remotehost is the name of the remote host you're connecting to. How do I Drop or block attackers IP with null routes? Someone might attack on your system. You can drop attacker IP using IPtables. However, you can use route command to null route unwanted traffic. A null route (also called as blackhole route) is a network route or kernel routing table entry that goes nowhere. Matching packets are dropped (ignored) rather than forwarded, acting as a kind of very limited firewall. The act of using null routes is often called blackhole filtering. How do I remove null routing? How do I remove blocked IP address? The Dude network monitor is an application by MikroTik which can dramatically improve the way you manage your network environment. It will automatically scan all devices within specified subnets, draw and layout a map of your networks, monitor services of your devices and alert you in case some service has problems. The Dude is free of charge! This log file format is used by used by Microsoft Internet Information Server (IIS) 4.0, 5.0, 6.0 and 7.0. A log file in the extended format contains a sequence of lines containing ASCII characters. Each line may contain either a directive or an entry. Entries consist of a sequence of fields relating to a single HTTP transaction. Fields are separated by white space. If a field is unused in a particular entry dash "-" marks the omitted field. Directives record information about the logging process itself. The version of the extended log file format used. This draft defines version 1.0.
lists a sequence of field identifiers specifying the information recorded in each entry. 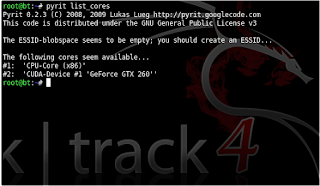 Identifies the software which generated the log. The date and time at which the log was started. The date and time at which the log was finished. The date and time at which the entry was added. Comment information. Data recorded in this field should be ignored by analysis tools. The directives Version and Fields are required and should precede all entries in the log. The Fields directive specifies the data recorded in the fields of each entry. The date that the activity occurred. The time that the activity occurred. The IP address of the client that accessed your server. The name of the authenticated user who accessed your server. This does not include anonymous users, who are represented by a hyphen (-). The Internet service and instance number that was accessed by a client. The name of the server on which the log entry was generated. The IP address of the server on which the log entry was generated. The port number the client is connected to. The action the client was trying to perform (for example, a GET method). The resource accessed; for example, Default.htm. The query, if any, the client was trying to perform. The status of the action, in HTTP or FTP terms. The status of the action, in terms used by Microsoft Windows®. The number of bytes sent by the server. The number of bytes received by the server. The duration of time, in milliseconds, that the action consumed. The protocol (HTTP, FTP) version used by the client. For HTTP this will be either HTTP 1.0 or HTTP 1.1. 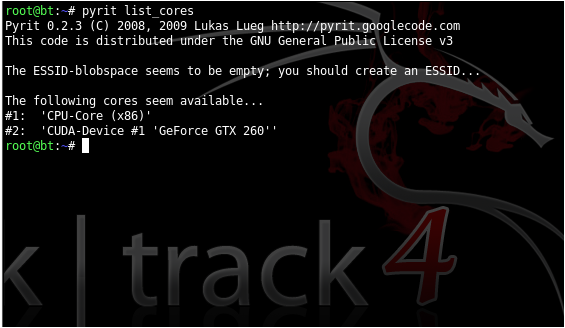 Displays the content of the host header. The browser used on the client. The content of the cookie sent or received, if any. The previous site visited by the user. This site provided a link to the current site. How many times have you walked up to a system in your office and needed to click through several diagnostic windows to remind yourself of important aspects of its configuration, such as its name, IP address, or operating system version If you manage multiple computers you probably need BGInfo. It automatically displays relevant information about a Windows computer on the desktop's background, such as the computer name, IP address, service pack version, and more. You can edit any field as well as the font and background colors, and can place it in your startup folder so that it runs every boot, or even configure it to display as the background for the logon screen. Because BGInfo simply writes a new desktop bitmap and exits you don't have to worry about it consuming system resources or interfering with other applications. See this Windows IT Pro Magazine Power Tools article for a primer on using BgInfo. If you have questions or problems, please visit the Sysinternals BgInfo Forum. Specifies the name of a configuration file to use for the current session. Changes to the configuration are automatically saved back to the file when OK or Apply is pressed. If this parameter is not present BGInfo uses the default configuration information which is stored in the registry under the current user ("HKEY_CURRENT_USER\Software\Winternals\BGInfo"). This great command line utility for Windows by Mark Russinovich over at SysInternals is the quick and easy way to get whois info for domain names or IP addresses. Domainname can be either a DNS name (e.g. www.powercram.com) or IP address (e.g. 96.6.154.135). For ease of use I prefer to save whois.exe to my Windows system directory (usually C:\Windows\System32) which is already in your path so you can invoke whois from any directory in the command prompt. Many applications keep detailed logging data in straight text files because the Windows event logs aren't appropriate for certain types of data (e.g., IIS log files). In the course of monitoring or troubleshooting these types of applications, it's often helpful to watch these log files in real time. However, because they're text files, that process typically consists of opening the file in Notepad or another text editor, looking at the contents, closing the file, then reopening the file to see what's changed. In the UNIX world, a utility that serves this purpose has been available for quite some time: It's called tail. Fortunately, the good folks at Bare Metal Software have developed a free version of the tool called BareTail. BareTail is a great utility for watching log files, such as IIS logs, cluster logs, and any other type of logs that can generate a lot of data quickly. BareTail can keep up with large log files (e.g., greater than 2GB) just as quickly as with smaller files, and—for easier visual recognition—it can selectively highlight specific entries that appear in a file based on matching text strings. For example, suppose you want to highlight references to cmd.exe in an IIS log file to easily spot which incoming connections are attempting to exploit known vulnerabilities. One of BareTail's most compelling qualities is that it's a completely standalone executable. There's no installer package to work with, so you can use the utility on a client's system and feel safe that you've had little or no impact on the system after you complete your work. When I have security on the brain, I generally look to the open-source community for answers, rather than to specific vendors. After all, the open-source community can be voracious in its efforts to find and understand every aspect of a vulnerability or flaw. A shining example of this security consciousness is the open-source vulnerability scanner called Nessus. Nessus is the world's most popular opensource vulnerability scanner. An estimated 75,000 organizations worldwide rely on Nessus to assess their networks and check for vulnerabilities. Originally launched in 1998 for UNIX, Nessus has been ported over to Windows by Tenable Network Security in a version called NeWT. Tenable Network Security provides the standard version of NeWT free for anyone to use for any reason. The only limitation is that the host that NeWT runs on can scan only its local subnet. With more than 6000 known vulnerabilities that it can test for, NeWT is now the best vulnerability scanner available for the Windows platform. When you unleash NeWT on your local subnet, it starts its process of testing each host it finds for vulnerabilities in its database. You can configure NeWT to test only for certain vulnerabilities—for example, if you're a 100 percent Microsoft shop, you don't need to test for UNIX vulnerabilities—and whether to attempt to fully exploit any vulnerabilities found to confirm its tests. NeWT can check for buffer-overflow vulnerabilities, watch for misconfigured application services (e.g., mail, Web), find all the listening ports on a server and determine the OS type, look for backdoors installed on an infected host, and more. If you provide NeWT with appropriate administrative credentials, it will dive even deeper into your systems and check for local patching or the existence of malicious software. For example, on a test "victim" system in my lab, NeWT detected several spyware and adware packages that I intentionally installed on that host for some tests. NeWT recommended that I remove those applications. NeWT is the first tool I grab when I start a security assessment for a client, and it should be in every administrator's toolbox. If you're looking for a quick and simple way to obtain information about a remote system, Winfingerprint is the tool of choice. Winfingerprint is a network scanner that runs on Windows. Unlike most network scanners, Winfingerprint is specifically designed to obtain information about Microsoft hosts and applications. Winfingerprint can use ICMP, RPC, SMB, SNMP, TCP, and UDP to obtain information (e.g., OS version, users, groups, SIDs, password policies, services, service packs and hotfixes, NetBIOS shares, transports, sessions, disks) about target systems. Winfingerprint comes in both a GUI version and a command-line version, so however you prefer to work, there's a version of Winfingerprint for you. Winfingerprint determined the number of drives I had installed on my target system, as well as the MAC addresses of the interfaces and the OS and patch level. What you can't see in the figure, however, is that Winfingerprint went on to enumerate all the share names on that system, as well as the services that were installed and the names of the users. The tool obtained all that data in about 20 seconds, making Winfingerprint a terrific tool for quickly collecting inventory data about networked systems. WinDump is an exceptionally powerful command-line packet sniffer. Ported over from the source of the Tcpdump utility available for UNIX, WinDump carries over the same power and flexibility to the Windows world, all in a lightweight executable. WinDump is a helpful utility when you need to do some quick and easy packet capturing to diagnose a network problem. It's flexible, and it can capture and display details about every packet going across the network interface. It can filter the output results based on protocol (e.g., Address Resolution Protocol—ARP, IP, TCP, UDP), source network or host, destination network or host, source port, destination port, and many other criteria. To use WinDump, you'll first need to download and install the Windows Packet Capture Library (WinPcap), the Windows port of the open-source packet-capture and network-analysis library libpcap for UNIX. WinPcap runs on all versions of Windows. After you install WinPcap, you can download the standalone WinDump executable. To launch WinDump, simply run it from the command line with the appropriate options for what you'd like to capture or read. You'll find the online manual for WinDump here. Although WinDump is a tremendous utility, sometimes it requires a considerable amount of overhead or knowledge to determine what you're looking for. For example, suppose you're trying to look up whether a DNS query is making it across your network, but you aren't familiar with the protocols and that DNS uses by default. Or, suppose a lot of traffic is coming across a network connection, and you're finding it too cumbersome to work through all the packets just to find the one particular packet you're looking for. For such situations enter ngrep, the network-aware grep utility. If you aren't familiar with grep, it's probably one of the most widely known and oft-utilized UNIX utilities. Grep finds matching text strings (through a mechanism known as regular expressions) in files on a file system, then outputs the lines to the display. You might compare grep with the Windows command-line Find utility, but grep differs by providing an exceptional amount of power in its search for text strings. By applying these capabilities to the network layer, ngrep provides the same level of functionality for packet sniffing. As a result, you don't need to know what protocols, ports, network, or IP addresses that two devices are using to transfer data. You just need to know something about the packet's payload, and ngrep will find it for you—regardless of how it's transmitted. Ngrep is great for troubleshooting DNS query problems. In a large Active Directory (AD) environment, dozens of DNS queries are typically occurring across the network per second. If I'm trying to troubleshoot a specific set of problems, searching each packet to find the one I'm looking for is cumbersome at best. Instead of relying on a straight packet capture of all DNS traffic, I can simply use ngrep to find the text string I'm looking for because DNS queries and responses are performed in plain text. Ngrep currently recognizes ICMP, IGMP, Raw, TCP, and UDP protocols across 802.11, Ethernet, FDDI, PPP, SLIP, Token Ring, and null interfaces. 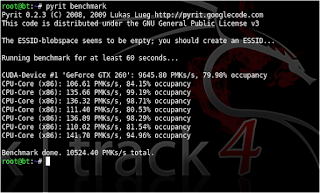 Like WinDump it requires the WinPcap library to operate properly. When you face a situation in which you need to roll up your sleeves and dive as deeply as possible into network capture and analysis, one utility needs to come to mind: the world's most popular network analyzer, WireShark. Network experts around the world use WireShark because it has all the standard features you'll find in most protocol analyzers, in addition to some you won't find in any other product. More than 400 developers around the world have made contributions to this open-source application. A decade ago, you would have to pay thousands of dollars for software that had the same capabilities, but WireShark offers it all free. WireShark can capture data off your network connection, filter the data, dive into the details of each packet, save the packet capture for detailed analysis, send packet captures to other network engineers (or vendors) to help with debugging, and open packet captures from many other leading packet-capture utilities. WireShark can capture data off of various network transports, such as Classical IP over ATM (CIP), Ethernet, Fiber Distributed Data Interface (FDDI), Point-to-Point Protocol (PPP), Token Ring, 802.11, and loopback interfaces (although it doesn't support all types on every platform). Across all those network transports, WireShark can "dissect" more than 750 protocol types, including FTP, HTTP, NetBIOS, POP3, remote procedure call (RPC), SNMP, SSH, SMTP, and Telnet, just to name a few. Like the other sniffing utilities I've mentioned, WireShark depends on an installation of WinPcap to function properly, so you'll need to install that first. Then, after you install the latest Ethereal distribution for Windows, simply access the Capture, Interfaces menu and select the interface you want to start using for capture. Then, you're ready to start analyzing your traffic.